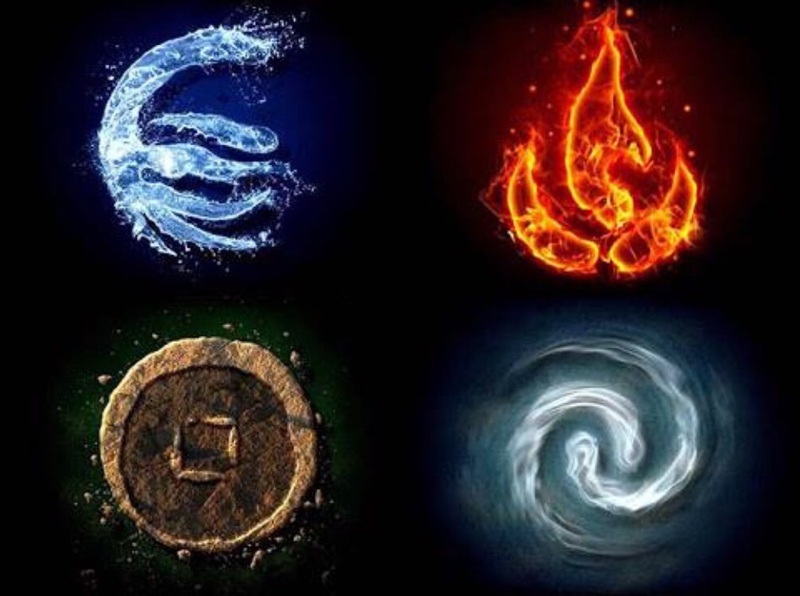 The ancient Greeks believed that everything in the world was made up of four basic elements: Earth, Water, Air, and Fire. This concept was so powerful it lasted even through the Renaissance. Interestingly, the first three elements correspond directly to the three states of matter: solid, liquid, and gas. The fourth element, Fire, corresponds to energy. Given that matter and energy are the two main elements of the universe, the ancient Greeks were not far off in their view of the world. Aside from the physical aspects of these elements, there is the meta-physical. Earth, being solid, represents stability and tangibility – that which can be touched, seen and known. Water, being liquid, represents change and movement. Air is invisible and therefore less tangible – we cannot see it directly but can see its effects. Air is also the medium required to support Fire, and life itself. Fire is pure energy that can change matter from one state to another. It can thaw ice, converting it to liquid water, then to steam, a gas. Aspects of these four elements exist in technical communication. Earth is the visible, stable portion of a document – the portion that can be seen and which rarely changes. A printed manual is forever Earth – never changing until replaced by a newer version. With more documentation now online, information has shifted in form from Earth to Water – ever flowing, ever changing, and increasingly customized and shaped towards the specific needs of the end user. Air is the medium through which documentation is delivered. The printed page, the monitor, the smart phone, the tablet – the medium is not the message but is the air in which it lives. Air is also the white space around all words, text and images, allowing the words to breathe. With no medium or no white space, communication would be starved of life. Fire is the energy that flows through the mind of a technical communicator, allowing them to shape, bend, twist and change the words and images they yield. It is the transformative power that a skilled communication craftsman uses to alter the form and substance of information. For a spectacular of Fire, see the CSS Zen Garden, where stylesheet magicians forge communicative works of art, as swordmakers used to forge metal in fiery furnaces. Note the words formed by the first letter of each element: AFEW. All you need is “a few” elements to create a universe of communication. This entry was posted in philosophy, science by Andrew Brooke. Bookmark the permalink. Such beautiful parallels!! wow!! A truely enjoyed reading this post.